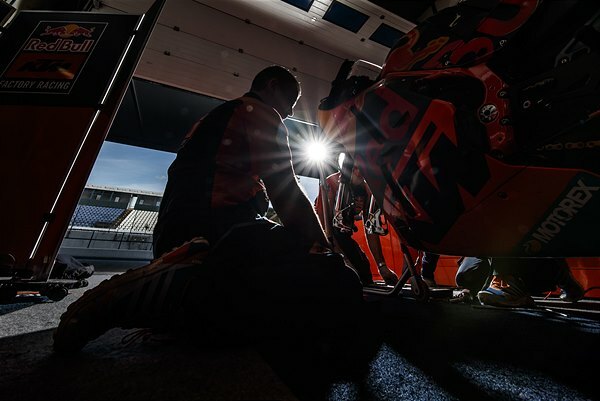 In contrast to the autumnal conditions and rain that affected the final round of 2018 MotoGP and stretched into the first testing days of 2019 work, the second MotoGP IRTA session at the Circuito de Jerez was blessed with sunshine and an important opportunity to progress with tasks for next year. 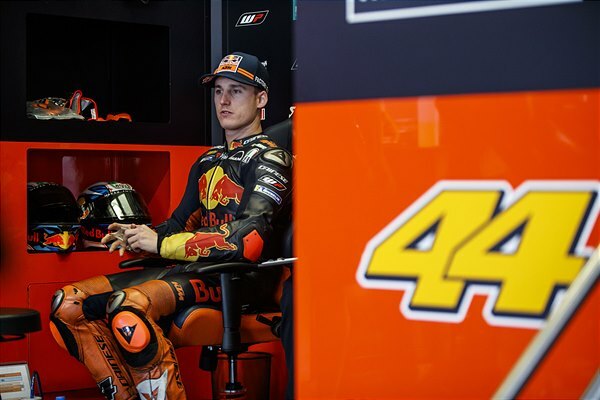 Pol Espargaro ploughed through two days of trial and experimentation with new engine internals, chassis modifications and yet more feedback with a fresh electronics package. 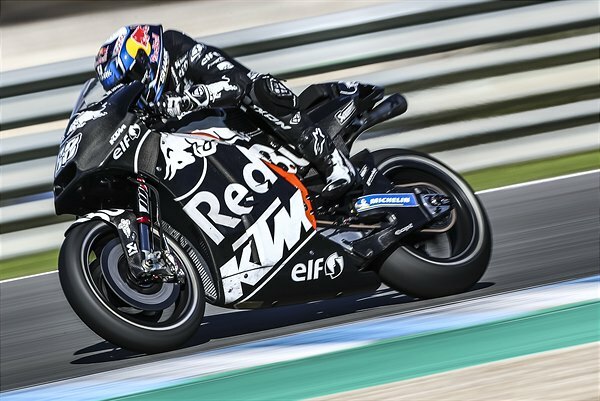 Despite the list of changes and components the Spaniard looked for key upgrades to the 2019 KTM RC16 package before the testing MotoGP ‘blackout’ comes into force through December and January. 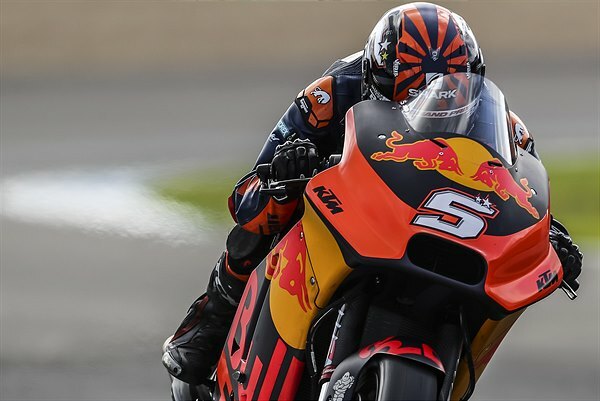 Johann Zarco clocked just his third and fourth days on the new #5 race bike. The French star was satisfied with a discovery for his base set-up on Wednesday that allowed more comfort and speed with corner entry. 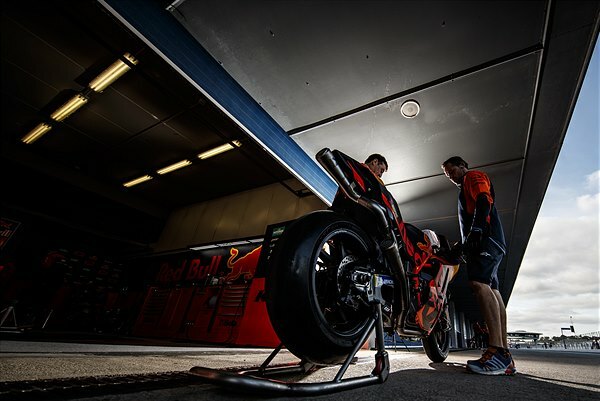 On Thursday he established a comfortable and consistent pace and on finalising a direction for his RC16 with a view towards the next tests early in 2019. 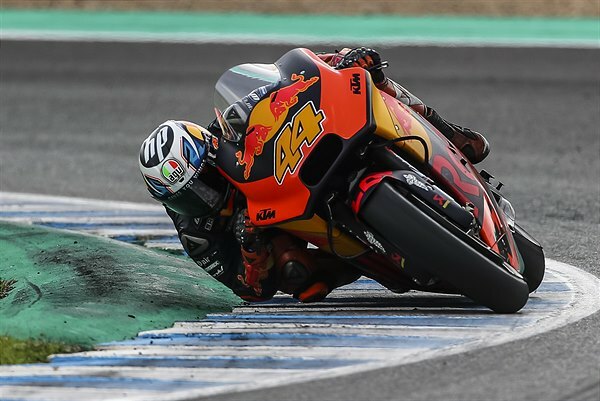 Jerez was another crucial opportunity for the Tech 3 squad to adapt to the KTM machinery, and for Hafizh Syahrin to delve deeper into his first full MotoGP off-season of work while Miguel Oliveira continued his adaption to the KTM RC16 in what will be a measured term as a rookie in the premier class. 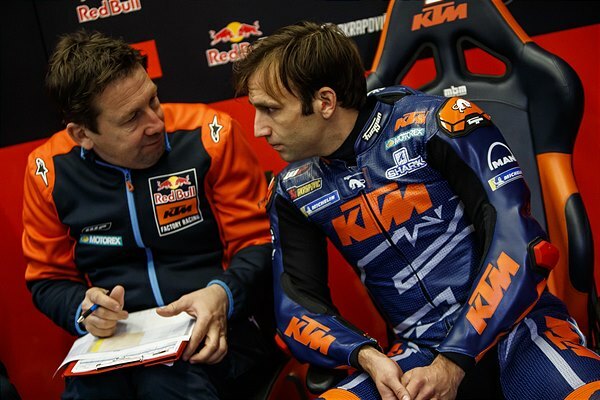 Johann Zarco: “So, some more days with the KTM and I’m happy because I made a step that I was looking for. It gave confirmation for the technicians for which direction we have to go. We began today on a better level and I was improving my lap-time. We then moved to test different things and could not do so many laps. We are still working on my base setting. 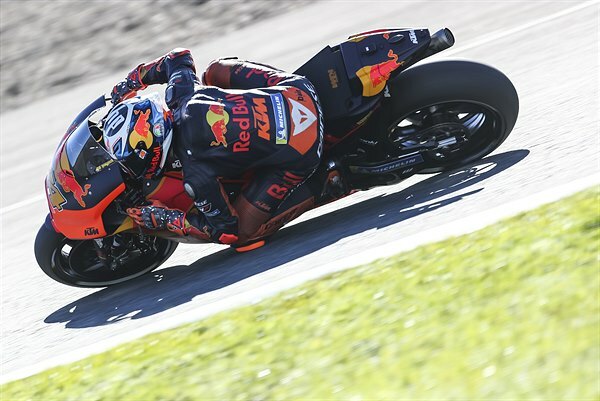 We are not working to be the fastest one out there but the base is coming better and better every time I go out, and I can see that because the lap-time is there and I can repeat it relaxed. It means this is the direction we need. This engine is giving a good feeling to go out of the corner. 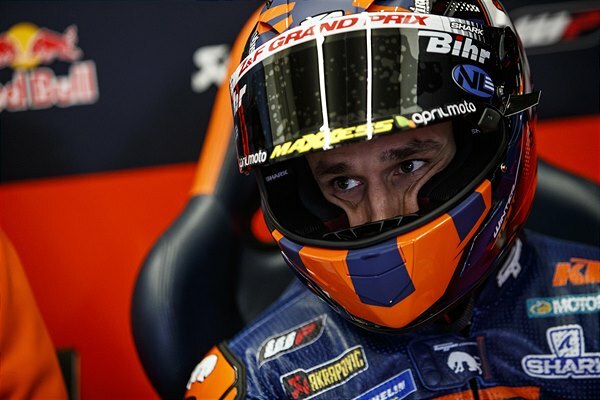 Even if you miss it the bike will go and this is still one of our strong points and when we go faster we will be able to use it even better." 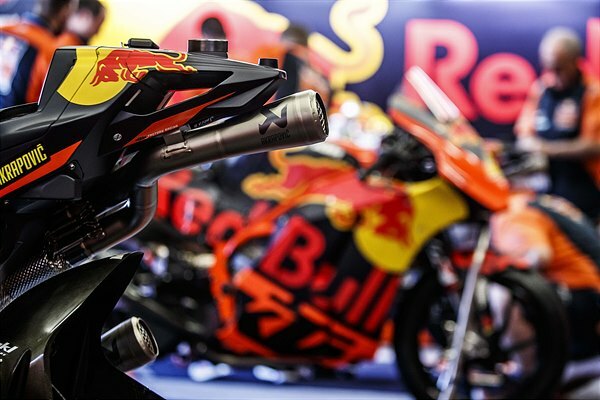 Red Bull KTM cooled the engines on their second full MotoGP year as the sun set at Jerez today. 2018 has been a challenging but satisfying second campaign of further education at the highest level and witnessed significant reduction in the margin to the long-established leaders of the Grand Prix grid. 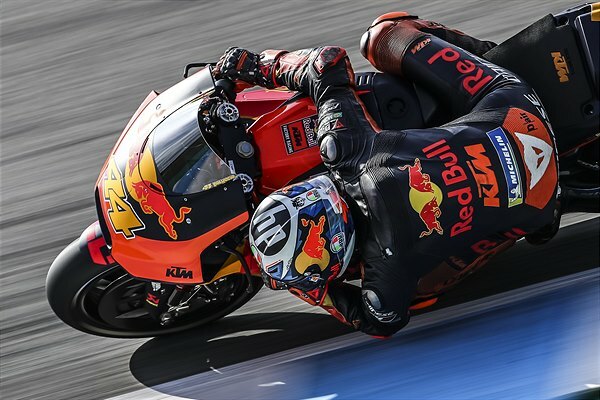 2019 gathers serious pace with the first pre-season test at Sepang, Malaysia on February 6th.